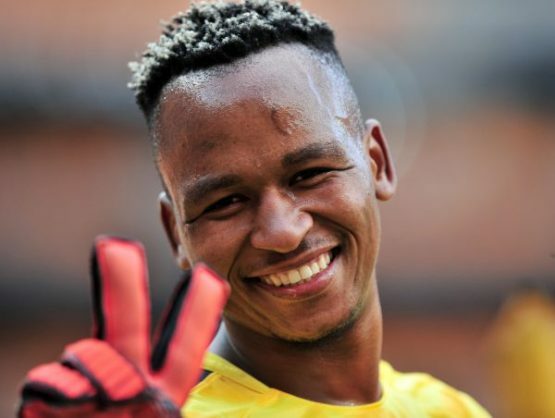 Kaizer Chiefs football manager Bobby Motaung has explained why the club did not offer goalkeeper Brilliant Khuzwayo contract extension. Khuzwayo ended his six-year stay at Naturena this past weekend when he helped Amakhosi beat Ajax Cape Town 2-1 at Cape Town Stadium. “Brilliant Khuzwayo approached the club asking for a blessing to move to another club at the end of the current season,” Motaung told the club’s website. “The main reason for his departure is for an opportunity to play more games because he is not getting any younger. As reported by Phakaaathi earlier, Khuzwayo is said to have signed a precontract with Chiefs rivals Orlando Pirates.